With 3 separate ovens, this cream Belling Electric Range Cooker provides plenty of space to cook – great for when you’re preparing multiple dishes at once. The main electric fan oven constantly circulates hot air so food is heated evenly on each shelf, producing perfectly cooked meals every time. 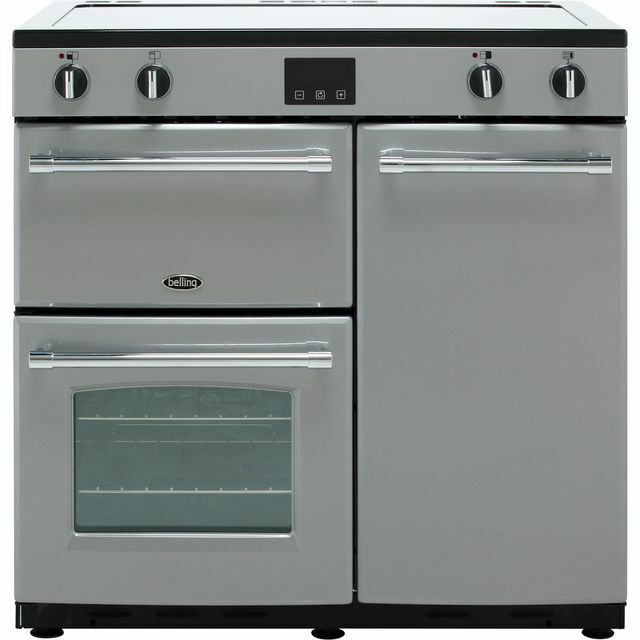 This oven has a medium-sized 58 litre capacity, so it’s perfect for cooking joints of meat. It also has a 5 zone ceramic hob, giving even more space for boiling vegetables and pasta while you’re cooking a delicious casserole or roast in the oven. I LOVE my new cooker !!! Belling farmhouse looks perfect and really is very even cooking all round ovens !! You can see the difference in my bread . And the hobs light up so fast it’s like magic ?? And the best thing about it is the total control it really is super fast to heat and super fast to cool down !! I’m just so happy with it and would recommend Belling to all !! 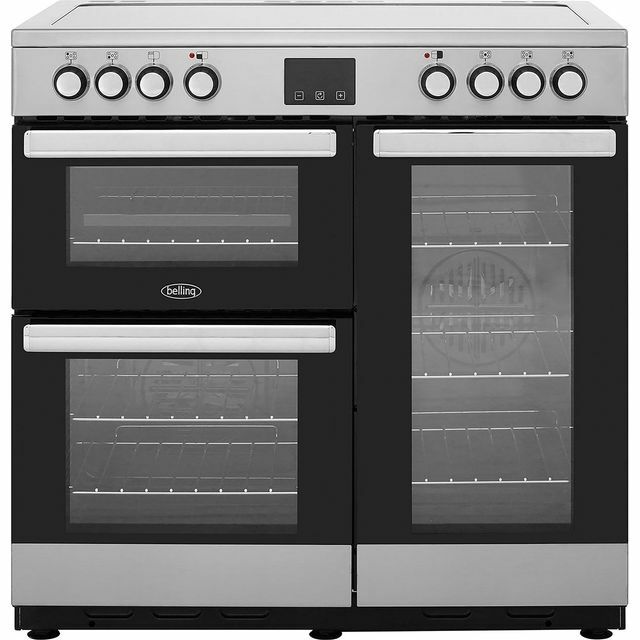 Absolutely over the moon with this product Could not believe the price, with the two ovens and five rings i no longer have to be swapping pots and trays about When new country style kitchen arrives it will look amazing! we've purchased this for our village hall and it's a great asset. Just what the kitchen doctor ordered. Fantastic oven. Master chef here I come ?? I am really enjoying using my new range. I have gine from an intergrated small oven to a range. 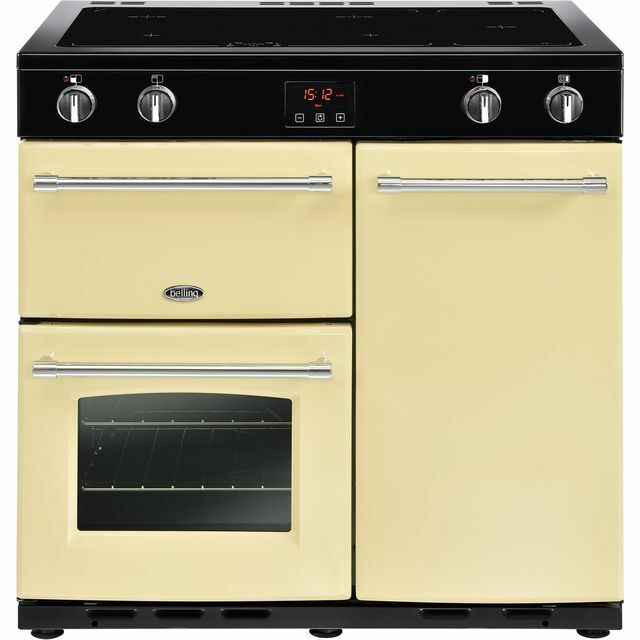 It is fantastic, got lots of useable settings, easy to use and heats up quickly. The delivery guys were friendly and reapectful of the mud in their shoes on a very wet day. Purchased this to complete the farm house kitchen look and at the risk of using an old cliche, it looks better in the kitchen than it does on the pictures. Works well too, and is more efficient than our old range of the same width but with a single oven.